If you live in Delhi and have not seen Ishq-e-Dilli, you have missed something. 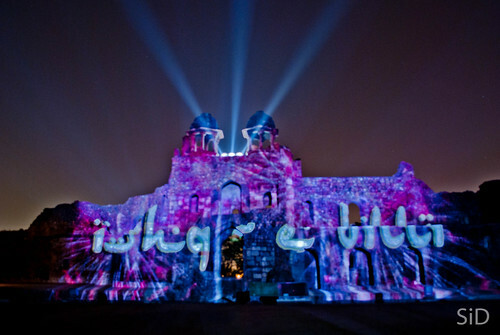 Ishq-e-Dilli is a sound and light show held in the evenings at Purana Quila. Both the show and the environment is a pleasant change from the regular pathetic movies watched after spending thousands at the malls. 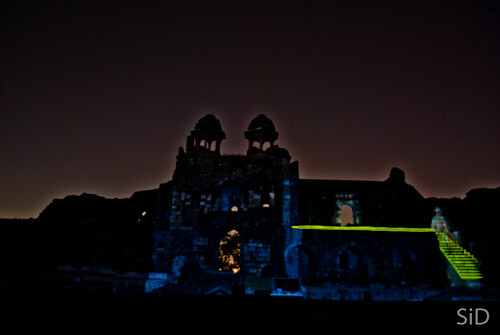 The ruins of the southern gate of the city built by Humayun is used as the screen for the show which revisits Delhi’s history from the time of Prithiviraj chauhan (13th century). Even if you are not interested in history, the show is interesting enough to keep you engrossed for an hour with two songs thrown in too. The visual effects are worth a dekko and in the period of one hour, you will also develop a soft corner for the history. To warm up, one can come a bit early and roam about the sixteenth century city. The guards then force everyone out at around 6. You have to buy another ticket to experience ishq-e-dilli. While the normal ticket costs Rs 5, the show comes at an additional Rs 80 and it is worth it. The best part about history is the story. 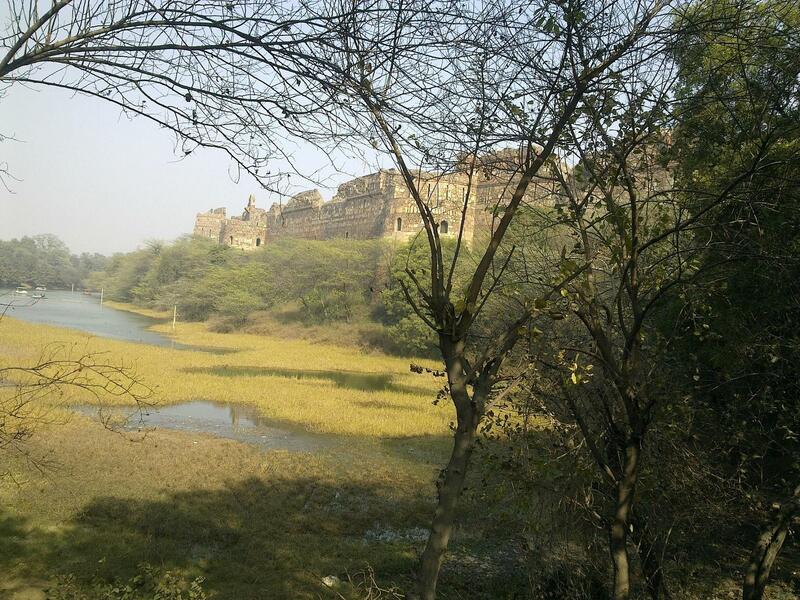 And they can be found in plenty at the Purana Quila. The popularity of the place is indicated at the approach road itself. There was a long line of cars and people turning right towards the neighboring zoo but the ones marching straight towards the ‘real’ place were only couples interested in having some space and time to them. Space they get in plenty as they are only a handful of them in what was around 500 years ago a whole city. The story of the place goes like this. 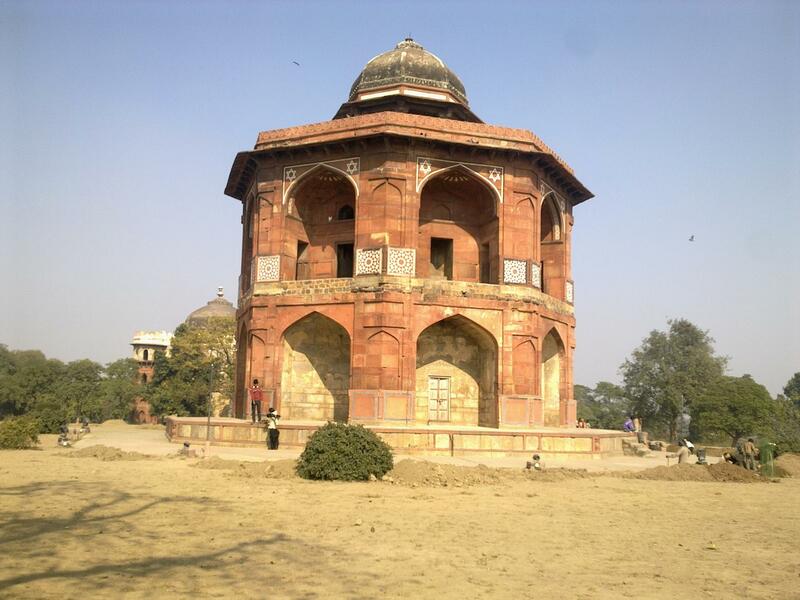 Humayun, the second Mughal ruler, decided to build a city and chose this site on the banks of river Yamuna. A walled city called Dinpanah was quickly built. Sher Shah Suri then defeated Humayun, forced the poor guy out of India and took charge of the city. He allegedly demolished all buildings inside and built some of his own (and called it Shergarh). Humayun returned with vengeance and regained the city 15 years later. After a few months, he was enjoying the magnificent view on top floor of his library (Sher Mandal) when he heard the prayer call and in a hurry slipped down the stairs and died. This was perhaps coming. History tells that whoever tried to build a city in Delhi did not survive to rule. (Shah Jahan and the British are other prominent examples after Humayun) . His tomb was later built a few kilometers down south and is now a more popular tourist spot. But this is a story only 500 years old. Much more interesting is another one. 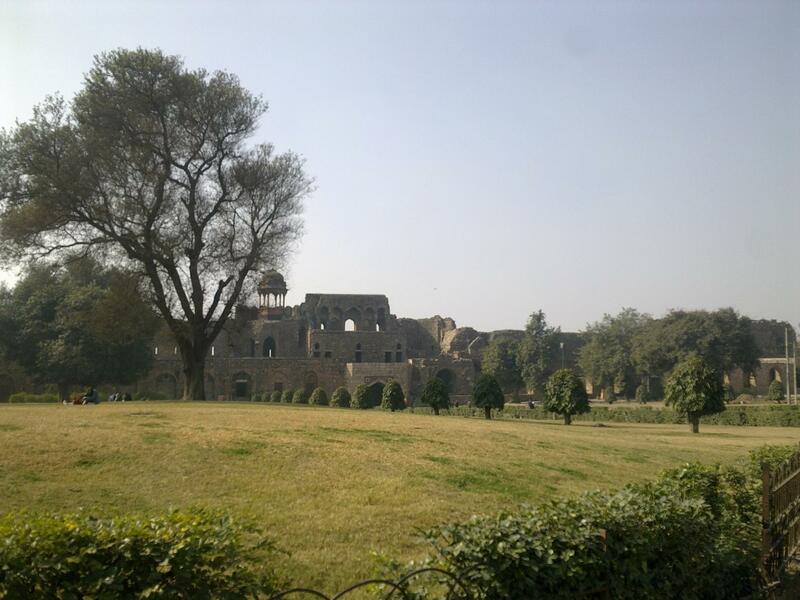 In 1950’s areas of Purana Quila were excavated and many civilizations were found to have existed here. They date back to the days of Mahabharat and the city of Indraprastha. A mud hut has been excavated from that age. Unfortunately, it may be the case that the pandavas and kauravas were not at all like we see in the TV serials with all kinds of jewellery and all. They were, as William Dalrymple puts it, simple cave men who fought with sticks and stones. Just behind the Sher Mandal there is a steep slope. On this slope is the evidence of 3000 years of Delhi. The actual slope is now covered with trees but it is beautifully displayed in a well maintained museum. On entering the museum there is a huge photograph which truly shows the importance of the site. There is a wall with the three thousand years in different layers. Indraprastha at the bottom, then Maurya, Sunga, Saka, Gupta, Post Gupta, Rajput, Sultanate and finally the Sher Mandal on top representing the Mughal era. Far away you can see the buildings of modern Delhi. May be 500 years from now these would also become just a layer in history.